Minister Tehan has announced the Armistice Centenary Grants Program (Armistice Grants) a program of grants to commemorate the centenary in 2018 of the Armistice ending World War I. The program makes $7.5 million available at the rate of $50 000 for each federal electorate. Details are here. 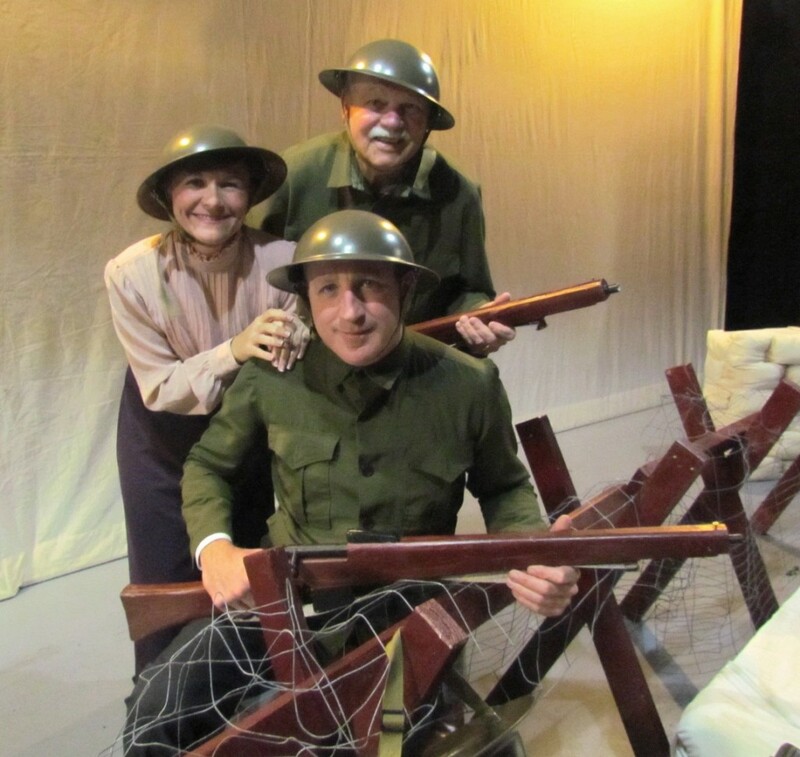 Honest History closely analysed the earlier Anzac Centenary Local Grants Program (ACLGP) 2013-14. That program cost more than the new one will – a total of around $19 million at $125 000 per electorate (more than 1700 applications were received though some did not receive grants) – and we can make some other comparisons, too. We will look at project criteria, consultation process, and eligible organisations. 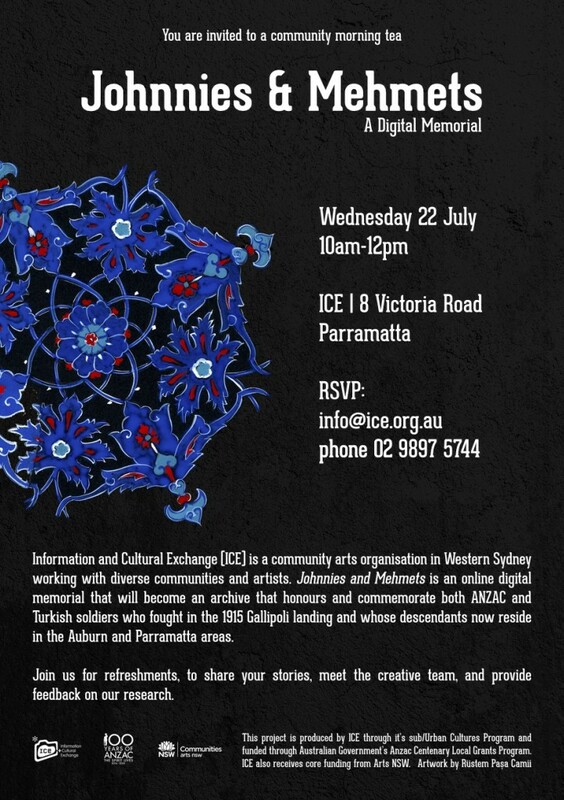 Event funded by ACLGP, Parramatta 2015 (Ice). ‘Johnnies & Mehmets’ is a reference to words attributed to Mustafa Kemal Atatürk, although there is no strong evidence that Atatürk ever said or wrote the words. school projects focusing on military involvement and social impacts. There are some further caveats, a long list of eligible items, and further lists of ineligible activities and items. The guidelines for the new program are about three times as long as the guidelines for the ACLGP. Honest History has not attempted to discover whether this is because of difficulties with the previous program. We will ask the Department of Veterans’ Affairs to comment on this and will print its reply without amendment. Proposed projects and events must be directly commemorative of the involvement, service and sacrifice of Australia’s servicemen and women in the First World War. relevant school projects, such as research with a focus on military involvement and social impacts, and the products of research, e.g. written material, documentaries etc. Honest History analysed the first 606 grants under the ACLGP and found 52 per cent of the projects involved the building of new memorials and monuments or the refurbishing of old ones (the second and third dot points above). These projects accounted for 53 per cent of the money allocated to that stage. Events and research (the first and fifth dot points) accounted for another 43 per cent of projects and 44 per cent of money. The ACLGP could be summarised as being mostly for bricks and mortar, pageants and school projects; the Armistice Grants could be characterised in similar fashion. For Armistice Grants each local member of federal Parliament ‘will consult with either an existing consultation committee or establish a new consultation committee, with representatives from the local community, to identify potential applicants and projects in their electorate’. For the ACLGP, there was more detail on how the consultation committees were to be composed: ‘an Electorate Committee consisting of representatives from community groups interested in the Anzac Centenary (e.g. ex-service organisations (ESOs), educational institutions, museums, local government etc)’. These are the ‘organisation types’ who can apply for an Armistice Grant: incorporated associations (for grants of $10 000 or more); ex-service organisations; not for profit community organisations; schools or other educational institutions; historical associations; local government bodies. This is a fairly broad list and similar to the one that applied to the ACLGP. It is not surprising that a program which starts from a particular conception of what is appropriate commemoration and sets its ground rules accordingly should produce a predictable range of projects. The community – or, at least, the part of it which is interested – is presented with a received view of commemoration, one that has essentially been unchanged for almost 100 years [the article compared the ACLGP with commemoration projects directly after World War I and found not much had changed]. It accepts the received view and goes on to propose projects which will perpetuate it. It is possible also that non-traditional projects might more closely reflect the ideals that we attribute to the men and women who died in war. Presumably the dead of World War I had a view of the sort of Australia they wanted to see after the war – “the land fit for heroes”, an Australia which was better than the one they left behind. Not necessarily an Australia covered by memorial gardens, dotted with monuments and echoing to the sound of constant commemorative pageants. A century on [after the end of World War I], it would be nice to think we have moved on from the way we thought then. The Anzac Centenary Local Grants Program was an opportunity to do commemoration differently. It has been an opportunity lost. The Armistice Grants Program looks like being another lost opportunity. Lara RSL Sub-Branch, Vic. : $9,166.00 to upgrade the Soldiers Avenue at Lara Recreation Reserve. 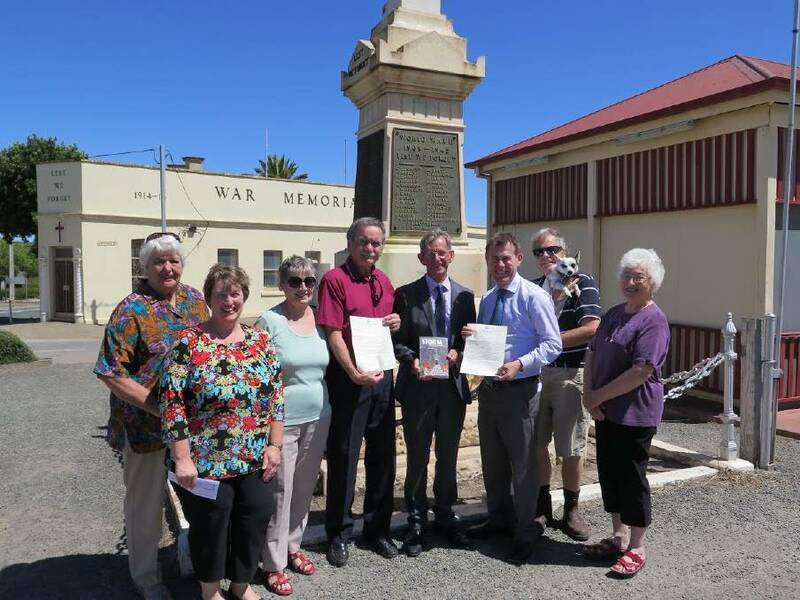 There were also many grants from the ACLGP to RSL sub-branches for projects that did not involve building or renovating memorials, as well as some grants to RSL sub-branches in partnership with other groups. (In the August-October 2014 tranche of ministerial approvals, 76 out of 275 approvals delivered money to RSL sub-branches for projects across Australia.) In view of the current cloud over the NSW RSL it will be interesting to see if the guidelines for the Armistice grants program still include a special role for the League.